Precisely engineered and compactly designed by trusted vendors, the offered INDEF Wire Rope Electric Hoist is one of the finest that is available in the market. Offered to clients at the best rate possible, the hoist is highly demanded. With its high load bearing capacity, the offered product is used widely for the purpose of lifting heavy objects. We provide this on pan india basis. 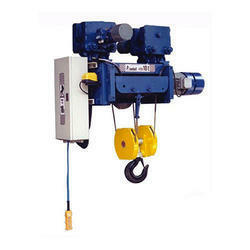 We provide INDEF Medium Duty Wire Rope Hoist to our clients on PAN india basis. 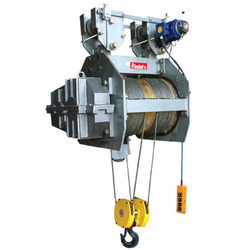 Owing to its unmatched sturdiness and performance, the offered INDEF Heavy Duty Wire Rope Hoist is one of the best that is available in the market. 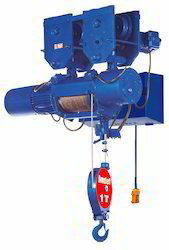 Manufactured by reputed vendors, the offered hoist has a high load bearing capacity, sturdy construction and long functional life. The offered hoist finds its application in a number of factories and construction sites. We have set a benchmark in the industry for wholesaling and trading INDEF Higher Lift Wire Rope Hoist. The product has been sourced from reliable vendors and checked for the assurance of quality by our diligent team of quality controllers. It is ideal for heavy duty and can be electrically operated. 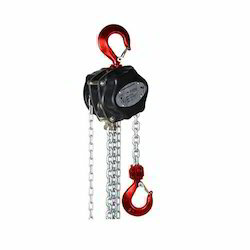 The offered product is highly demanded at civil engineering sites for lifting and transferring loads. 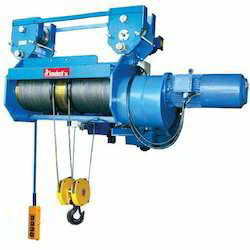 We are engaged in wholesaling and trading INDEF Electrical Wire Rope Hoist, which is compact in size and is equipped with an efficient motor coupled with a heat protection device. It is exceptional in tensile strength and is ideal for lifting heavy loads in coal mines and shipyards. The offered product can be operated by the means of electricity and is safe to operate as well. It is made in tune with the industrial standards. 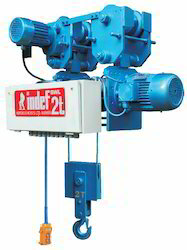 Looking for INDEF Wire Rope Electric Hoist ?